Without wanting it to sound too much like a clickbait article, I wanted to list my top ten tennis racquets right now since a lot of people have asked for it. I’ve tried to separate them into categories that make sense and with relevant links to my reviews. In the jungle of tennis racquets that are released yearly, can you really make a list with the Top Ten Tennis Racquets Right Now? Well, I will try. A racquet is a very personal thing and the idea is for the racquet to become an extension of your arm. I would say finding that “holy grail” is the key quest for us tennis nerds. After testing hundreds of racquets and strings over the years, I hope I’ve managed to understand what racquet suits a certain player and what doesn’t. If you’re interested in what racquets pro players such as Rafael Nadal, Roger Federer or Novak Djokovic use, click this link or browse the pro player racquet category. If you want some more guidance in choosing the right racquet, check the links at the bottom of this article. 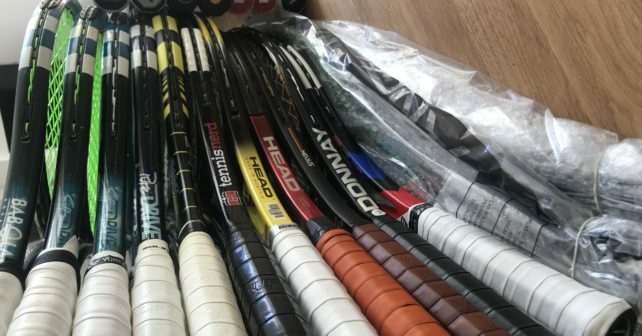 You can’t create a list with the top ten tennis racquets right now without starting with the category of easy-to-use racquets for a wide group of players. These racquets can suit pretty much anyone, from beginners to advanced players. If you need more weight on your racquet, you can always buy a roll of lead tape (Amazon link) and customize the racquet yourself (link to a self-help article on How To Customize a Tennis Racquet). 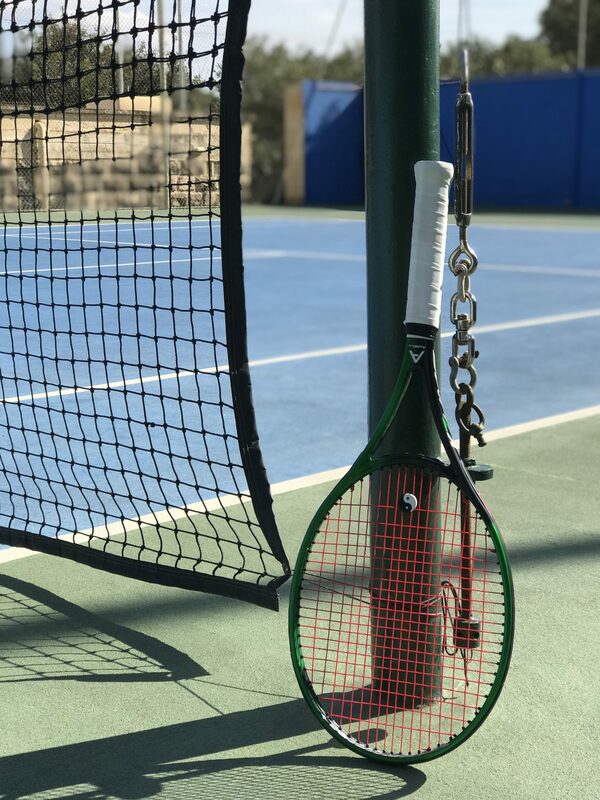 What power racquets help you with is to get a bit more easy power and spin on your shots in case your footwork is not top notch (beginners to intermediate) or you hit with a good amount of topspin (active juniors and more advanced players). These racquets offer a bigger sweet spot and are generally easier to use. 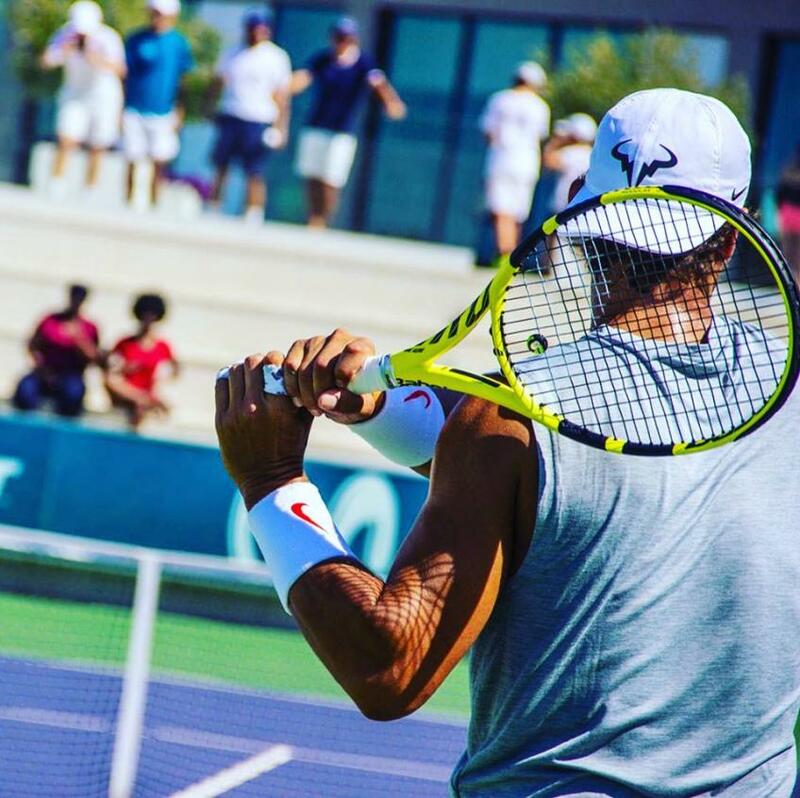 Rafa endorses this racquet and uses the first version of the Babolat Aero Pro Drive Original that came out in 2005. You can read about the actual racquet of Rafael Nadal here. 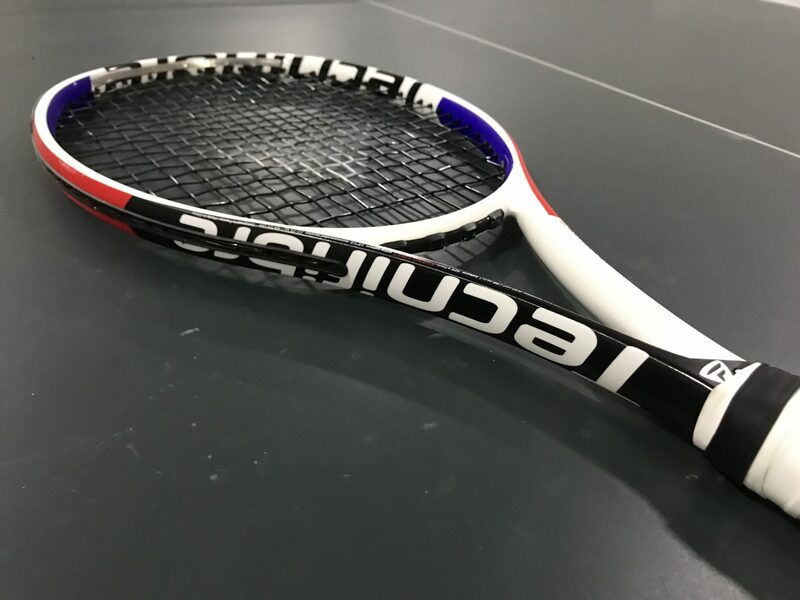 The latest version of the Babolat APD, called Babolat Pure Aero was just released and is a great weapon for the baseline player who wants a bit of extra spin and power on their shots. It is quite easy to use and looks striking in its yellow and black color. 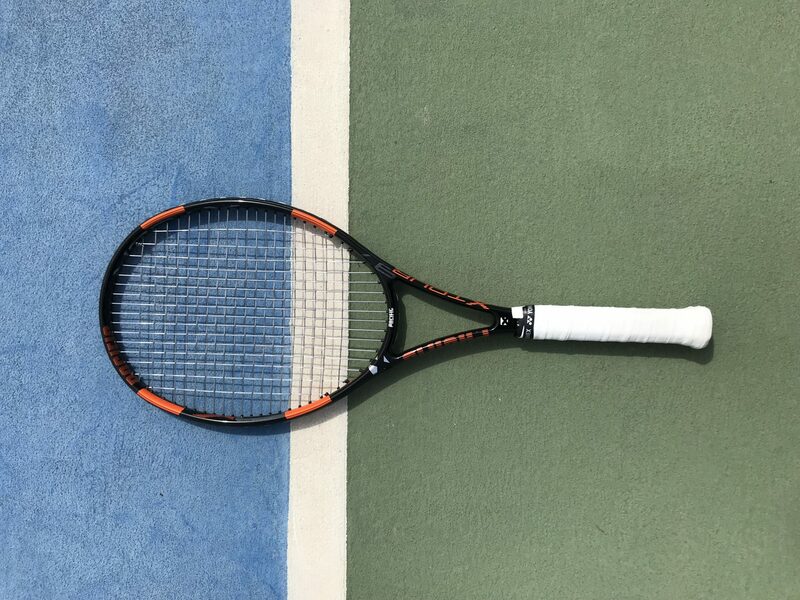 Read my Babolat Pure Aero 2019 Racquet Review (includes a video review). 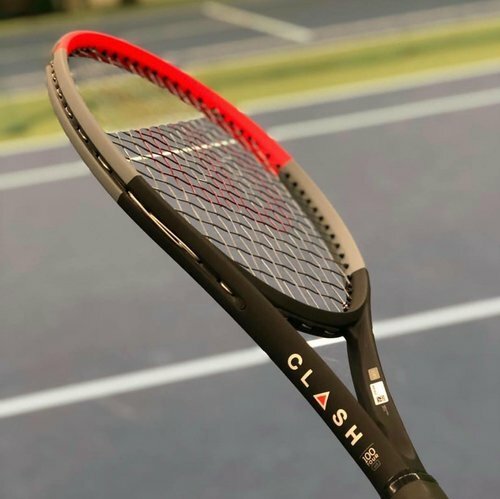 Read my Wilson Clash Racquet Review (includes a video review). 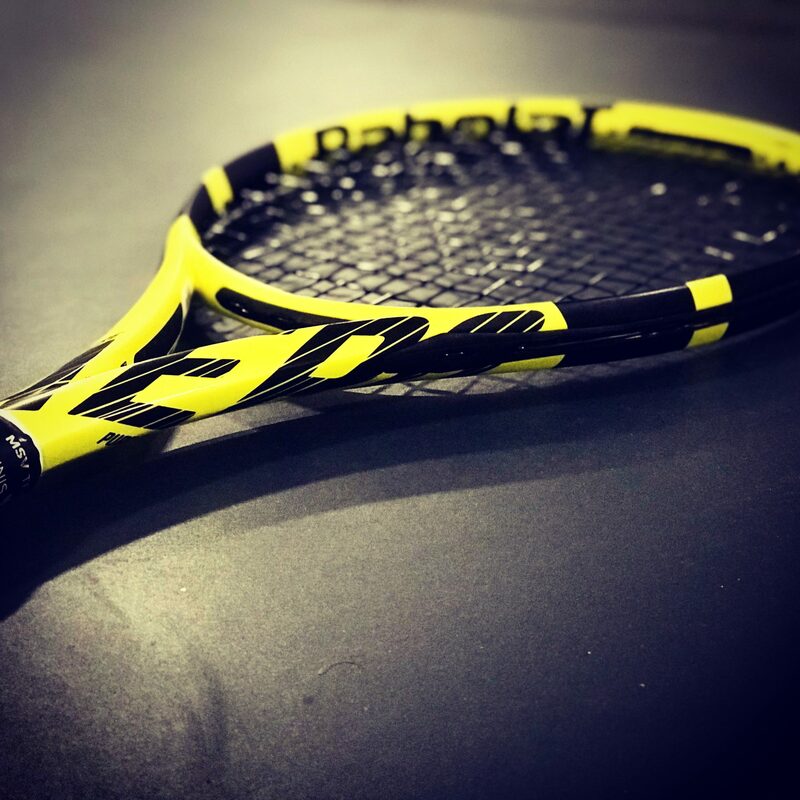 German pro player Jan-Lennard Struff endorses this powerhouse of a racquet that reminds me of the Babolat Pure Aero. If you go with the Pro version you get a high swing weight that really blasts the ball to the other side of the court. This racquet is really a WEAPON. Sometimes I find the ball hard to control, but when I put enough spin on it, it was quite intoxicating to play with. Read my HEAD Graphene 360 Extreme Pro review (includes a video review). If you are looking for a more comfortable racquet than the HEAD Extreme or Pure Aero, you should check out the Donnay Hexacore Formula 100. This racquet is easy to use and offers a really nice plush feel and still decent power and spin. I was surprisingly impressed by this play-test. Donnay Formula 100 Hexacore Racquet Review (includes a video review). So what is a tweener racquet? Well, it is not quite a power racquet and not quite a control racquet, but something in-between. Hence the word “tweener”. Here you will usually find slightly heavier and slightly less powerful racquets than the category above. 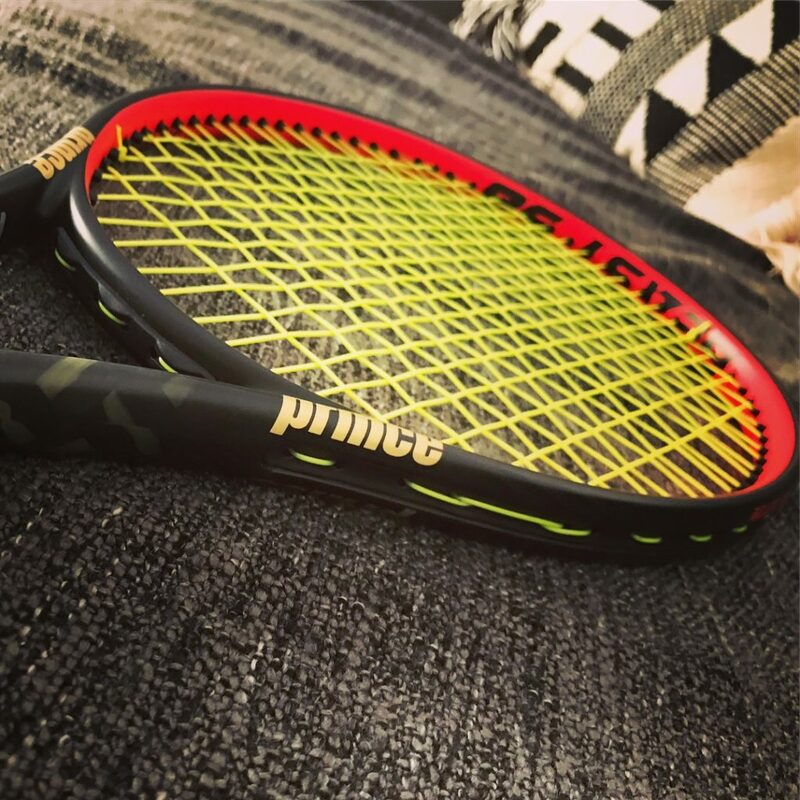 A tweener racquet should do everything pretty well and that is the case with the Prince Beast 98. A llarge and forgiving sweet spot, decent power, decent spin, good control, swings pretty fast, etc. Just a really nice and versatile racquet. Prince Beast 98 Racquet Review (includes a video review). A racquet that is said to be used by Jeremy Chardy. Although a lot of pro’s play with pro stock racquets and heavily customized frames, the swing weight of the Tecnifibre Tfight XTC 305 makes the statement possible. A really nice and stable frame with crisp but not uncomfortable feel. I simply love the 18×19 string pattern as a good blend between spin and control. 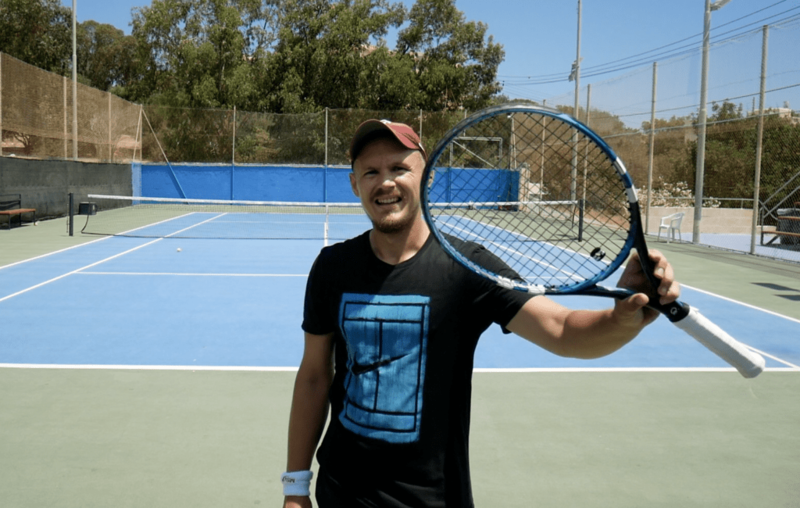 Tecnifibre Tfight XTC 305 Racquet Review (includes a video review). Some smaller brands are popping up and challenging the top dogs! Diadem is one of them. They have not created a lot of frames yet, but the Diadem Elevate is sure to suit a lot of players. Nice control and good spin from the 16×20 string pattern. Just a solid, all-round frame that is also available in a heavier Tour version. Diadem Elevate Racquet Review (includes a video review). If you are an advanced player you are probably looking for control and feel. You don’t mind adding some lead tape to get the weight and balance you need and you don’t need any extra power or spin to work with. Angell is another small brand that creates stellar products, such as their custom line of racquets. I loved the Angell K7 Red when it came out as it gave a great blend of spin, control, and comfort, but personally, I like a heavier spec. So I was very impressed when Angell released the K7 Lime with a tighter string pattern and heavier weight. 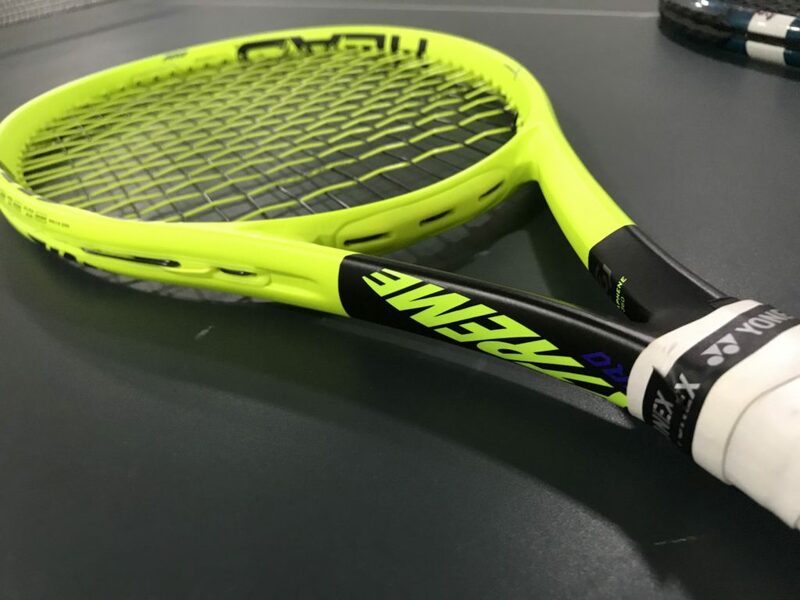 Angell K7 Lime Racquet Review (includes a video review). Angell K7 Red Racquet Review (includes a video review). Pacific bought the classic Fischer racquet molds some year back and are now branding them as Pacific racquets. This was a good idea. 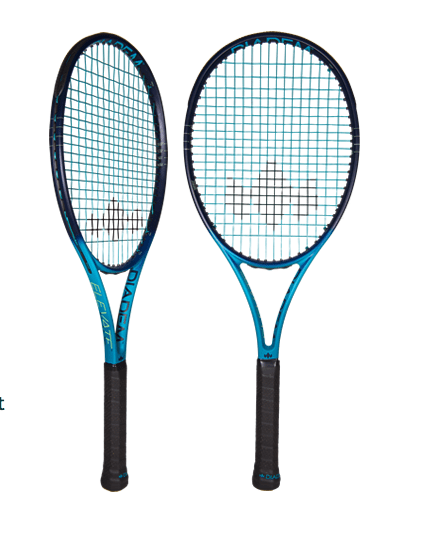 Fischer created some really classic racquets with amazing feel and this is still present in their re-launched racquets. I fell in love with the Pacific X Tour Pro 97 and really appreciate its control and feel when you hit the sweet spot. Pacific X Tour Pro 97 Racquet Review (includes a video review). Dunlop is a classic brand that has been bought by Japanese company Srixon and relaunched a new line of racquets called CX. I play-tested the Tour versions called the Dunlop CX 200 Tour in both 18×20 and 16×19 string patterns and they were simply outstanding control racquets. If you are open to smaller head sizes you really need to test the Dunlop Srixon CX 200 Tour. Dunlop Srixon CX 200 Tour 18×20 Racquet Review (includes a video review). I can’t have a list of top ten tennis racquets right now without mentioning Yonex. 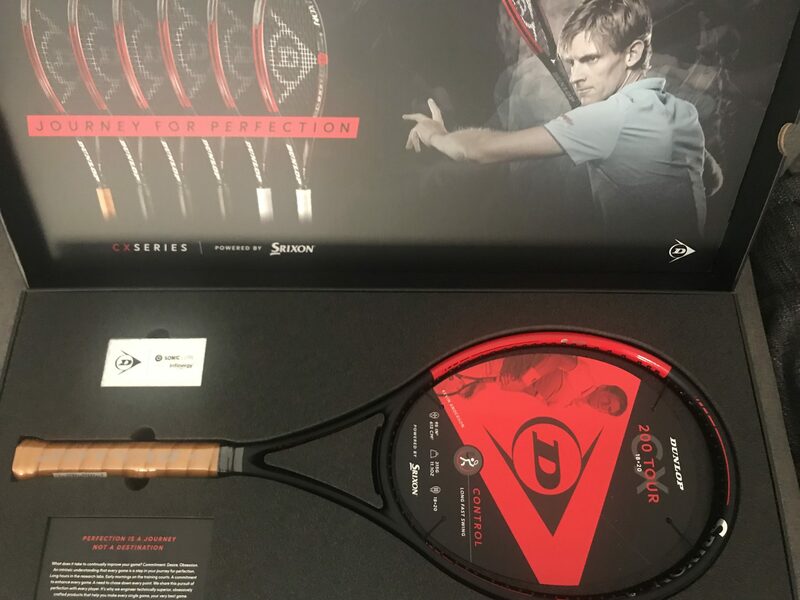 They do create a lot of nice racquets and the VCORE 95 is an excellent players’ frame that has a bit of extra pop and spin compared to many other 95 sq inch racquets. 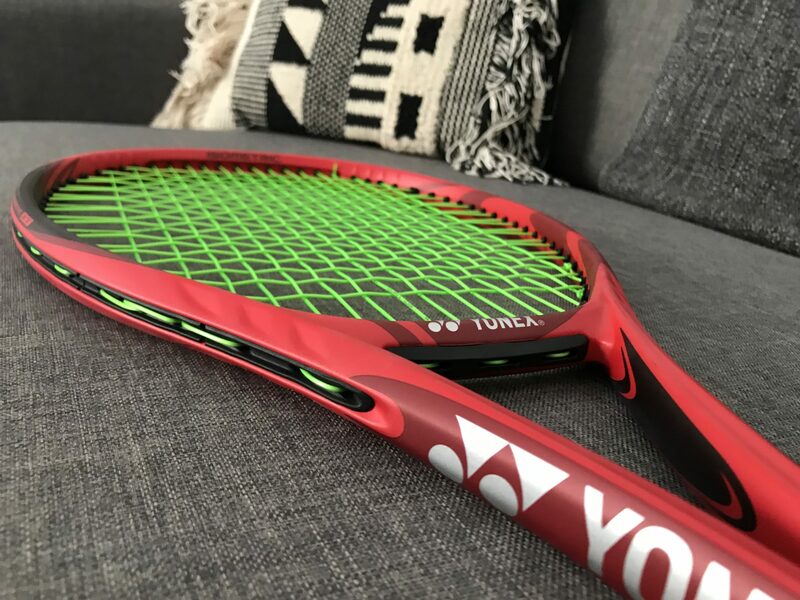 Yonex VCORE 95 Racquet Review (includes a video review). I had to mention this midsize players’ frame that has a lovely response from its ultra-thin beam and 93 sq inch head size. It plays more like a 95 sq inch racquet thanks to the round head shape so players looking for a racquet packed with control and feel and are not scared away by the smaller head size should give this one a go! Now it is also available in a control-oriented 18×20 pattern and a spin-friendly 14×18 string pattern. 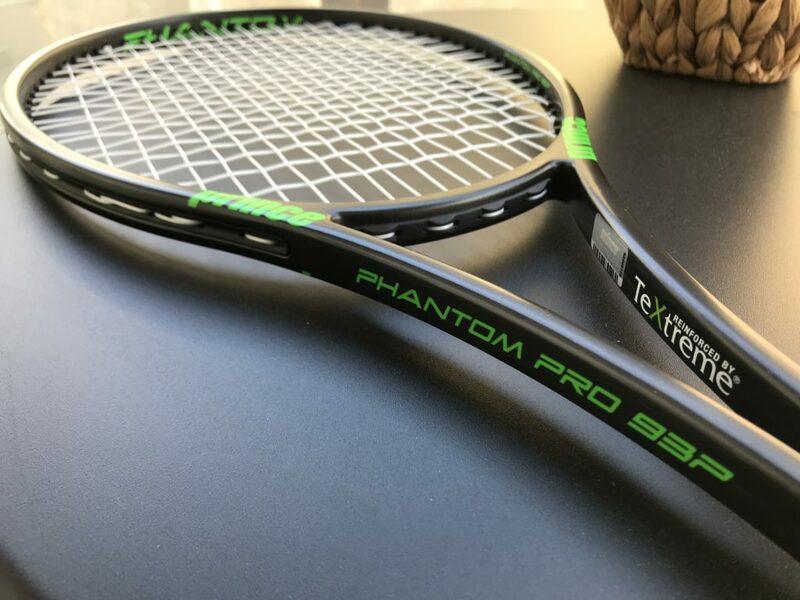 Prince Phantom Pro 93 P Racquet Review (includes a video review). Okay, that was not really “Top Ten Racquets”, but more like Top 12 racquets…However, there are so many good tennis racquets on the market right now it was hard to limit it to ten! This is a good thing of course. No matter what, I hope this post about my Top Ten Tennis Racquets Right Now gives you an idea of what your next racquet could be. 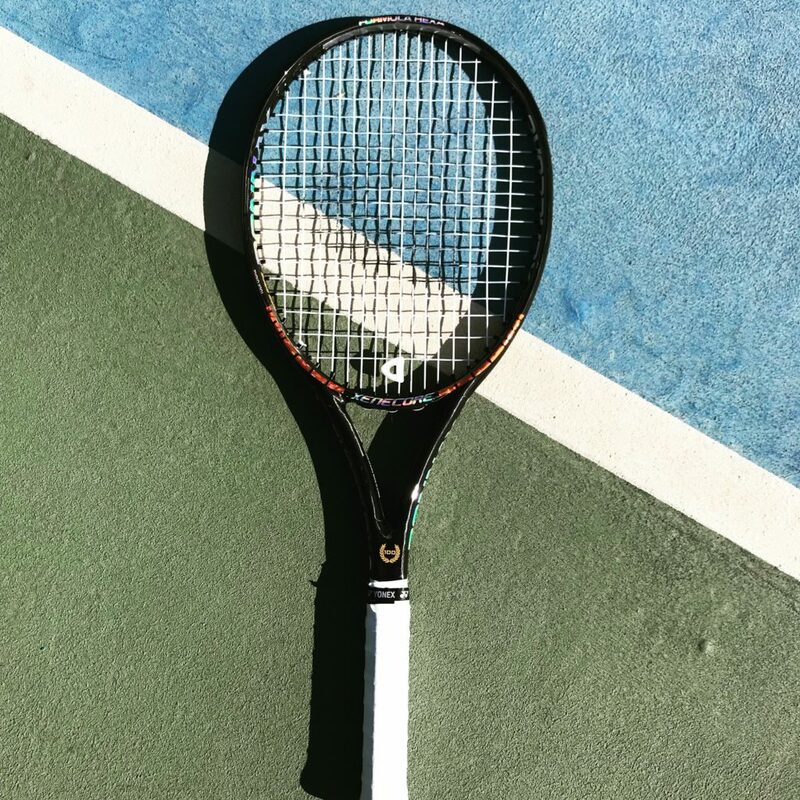 If you can’t test or demo racquets in your location, you can always buy one racquet (new or used) and then sell it used without losing too much money. What works for one player, might not work for you, but be patient and test each racquet for a week or two (depending on how much you play of course) before you decide whether it could be your next match racquet. Good luck on finding that “extension of your arm” and keep working on your tennis game! I hope to see your Clash Tour review. I am holding back purchasing. I came from a Wilson ps Rok but find that I need something with a little more power now. I like my Radical MP and PRO. Nothing wrong with those racquets! I am wondering what recommendation you have for an average size 11 year old boy playing with a one handed backhand. It’s time to transition to an adult racquet this summer and would like to have some choices to try out. He’s not a power player (yet!) and has been playing with a Yonex Ezone 26 (Junior) – Green with Kirschbaum strings. He likes to play with spin and good volleyer. Recently we customized with some tungsten tape in the handle. Would LOVE some recommendations for him to try as asap. Nice to hear that he uses a one-handed backhand! I think a racquet just below 300 grams unstrung can work really well for him. I think the new Wilson Clash could suit him well. It is arm-friendly, 295 grams unstrung and quite head-light. It is very spin-friendly too. If he wants something with a smaller head size he could try the Wilson Pro Staff 97 CV Light, that is a nice racquet for more control. Hope he finds something he likes and good luck to you and him and his tennis progress! Thanks for reading TennisNerd and sharing our passion for tennis! Please also consider sharing our content with your tennis friends. I have a Babolat Pure Strike Tour at the moment (the older black and orange model) and even though I like it, I am looking for a racket that offers more feel and control. I have been looking at two rackets that are on this list for a while, the Dunlop Srixon CX 200 Tour and the Prince Phantom 93p Pro. I am also interested in the Angell TC95 (18×20). As a clarification with “feel” I mean that I want to know exactly what’s happening on the stringbed, not comfort. To someone looking to replace his Yonex DR98s with something a tad more powerful and forgiving (I’m about to hit the big 4-0), would you recommend the Beast 98 or the Elevate 98, or are these interchangeable and should I finally cross that bridge into proper tweener territory, where once accomplished tennis players shuffle to spend their twilight years ;-)?